If you follow me on Instagram, you might already know what I was for Halloween. 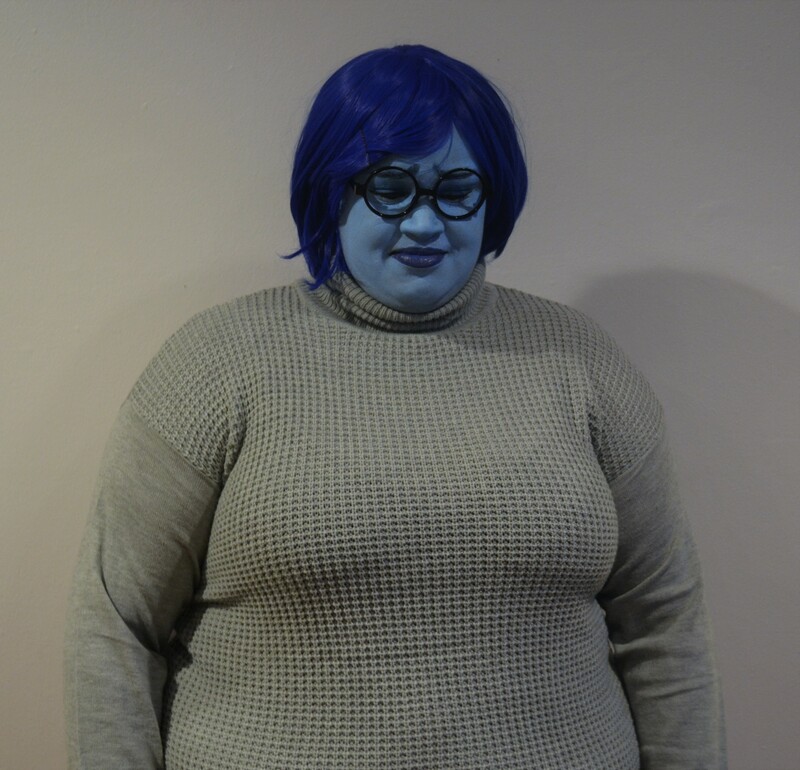 When I saw the movie “Inside Out”, I fell in love with the movie and the character, Sadness. Though she was my favorite color, yet she is the total opposite of my natural personality. 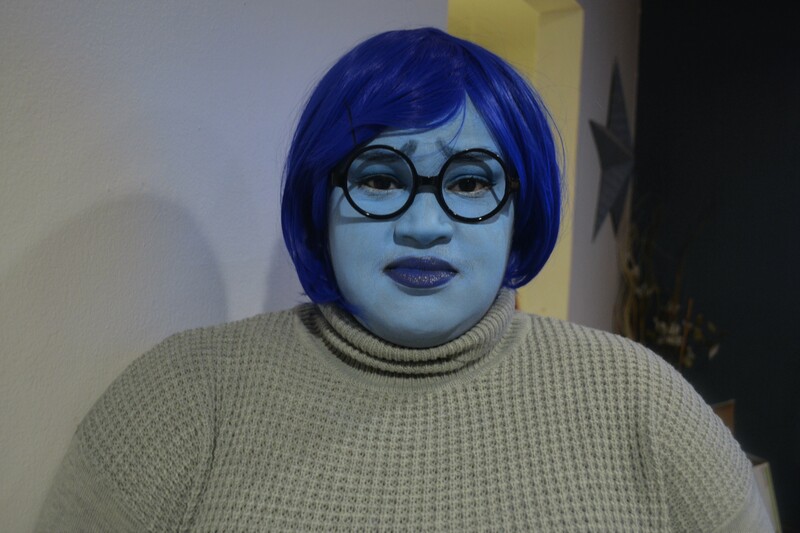 A few months after I saw the movie and the closer it got to Halloween, I found out that my brother, sister-in-love and their good friends were throwing a Halloween party. As I’ve said before, I haven’t participated in Halloween in a long time and I was so very excited this year when I got the chance to do so. 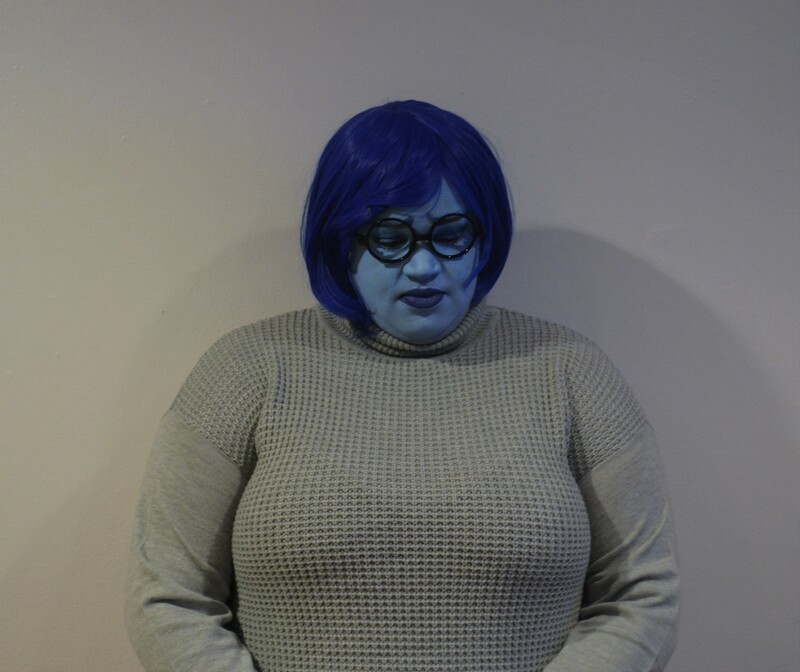 So I thought about it and I decided to become my girl, Sadness. It’s a Halloween party, I had to go all out and so I decided to leave Miyah at home and take Sadness out for the night. 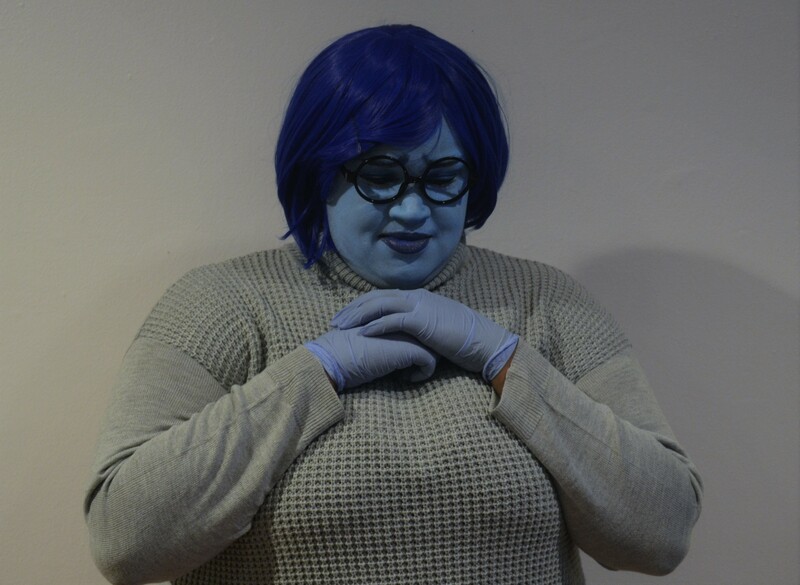 And when I say the response from my costume was incredible… it was just that. I’ve gotten so many compliments; it was crazy. Even my niece and nephew loved it. I honestly didn’t think that it would turn out as great as it did. 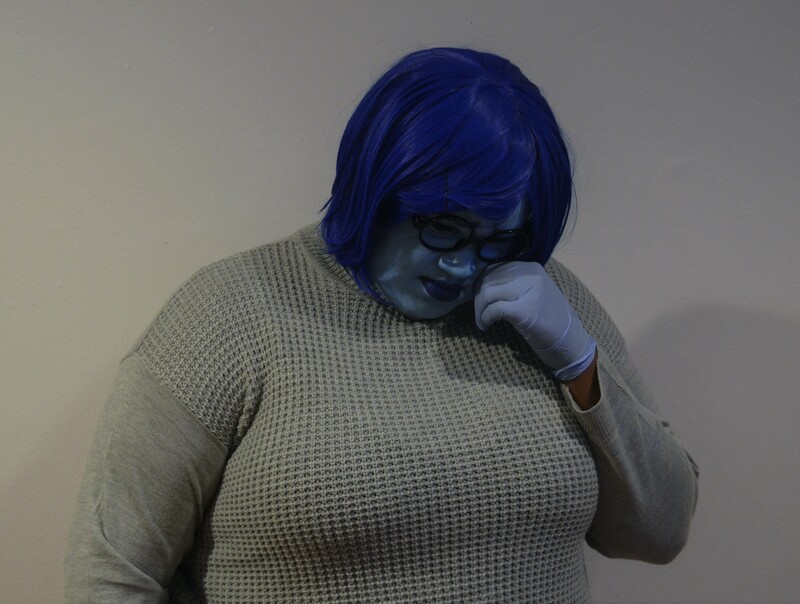 Plus, I was the only Sadness there. If you look on my Instagram, you’ll see that my brother went as Fear, so people took plenty photos of us. 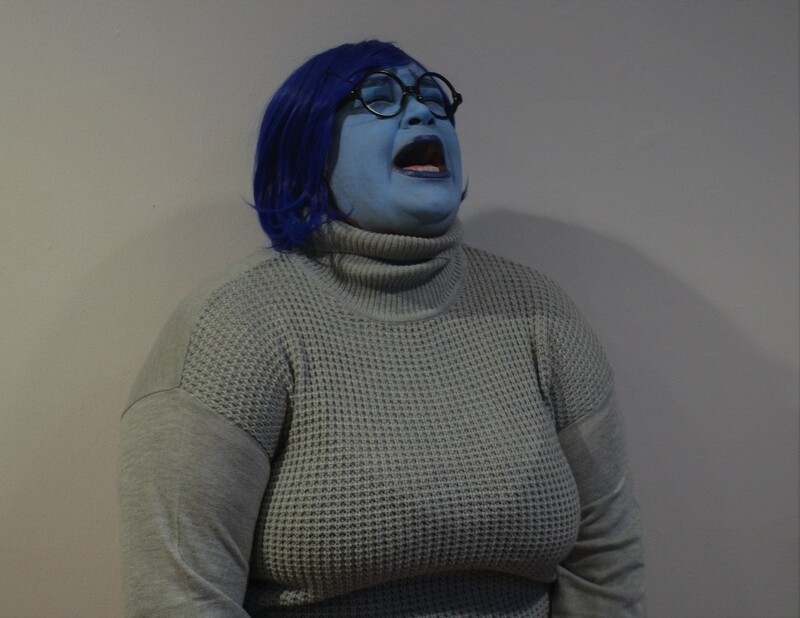 So I introduce Sadness. p.s. You should really go watch the movie if you haven’t. It was really, really good. This came out perfectly–what a great idea! And you committed even down to your blue feet. 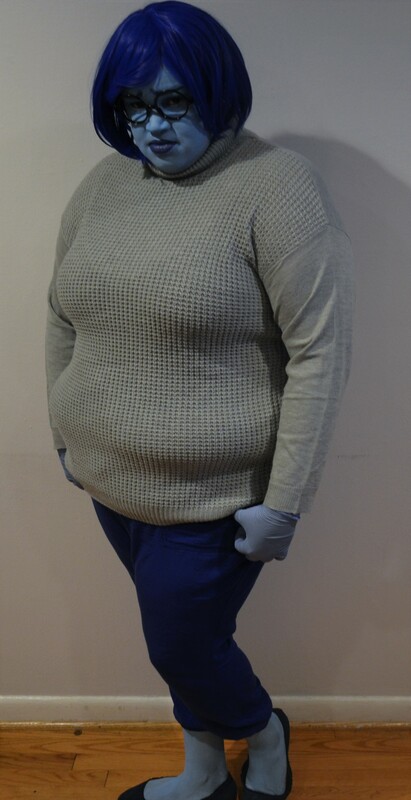 For more fun with character-inspired dress-up, check out aliteralinterpretation.wordpress.com.